Maestro Joel Revzen is an award-winning conductor who leads symphony and opera performances throughout North America and Europe. His active recording career includes two releases with the London Symphony Orchestra, as well as critically acclaimed recordings with the Saint Paul Chamber Orchestra, the Moscow Symphony, the Scottish Chamber Orchestra, and the Grammy-award winning The Art of Arleen Auger on which he was both pianist and conductor. In April of 2017, Revzen made his Metropolitan Opera conducting debut with two performances of Eugene Onegin starring Anna Netrebko and Peter Mattei. On the Met’s conducting staff since 1999, Revzen is Assistant Conductor in 2017/18 for productions of Puccini’s Turandot, Mozart’s Magic Flute, Bellini’s Norma, Massenet’s Cendrillon and Donizetti’s Lucia di Lammermoor and in 2018-19 Puccini’s La Fanciulla del West, Boito’s Mefistofele, Verdi’s Rigoletto and Mozart’s La Clemenza di Tito. Revzen’s position as Artistic Director and Principal Conductor for Classical Tahoe is a position he has held since the festival’s inaugural season in 2012. Now in the festival’s 8th season, the Tahoe Classical Orchestra is comprised of musicians from leading orchestras including the Metropolitan Opera Orchestra, the Los Angeles Philharmonic and the orchestras of Philadelphia, San Francisco, Seattle, Dallas, Toronto and others. The festival presents numerous orchestral and chamber music performances with some of the most sought-after soloists in the classical music world. 2018-2019 world-wide performances include the inaugural season of the Mayshad Music Festival in Marrakech Morocco, where he was appointed Music Director and the 2nd edition of the festival in June with the Orchestre Chateau d’Versailles and renowned Mezzo Soprano Susan Graham; in Cuba with the Havana Chamber Orchestra and pianist Aldo Lopez Gavilan; in Moscow with The State Academic Orchestra Svetlanov and Russian star soprano Hibla Gerzmava. As Guest Conductor, Revzen has appeared all over the world, with the Prague Symphony, Prague Chamber Orchestra, Janacek Philharmonic, Orchestra National de Lyon, Orchestra Capital de Toulouse, Philharmonique de Radio France, the National Symphony Orchestra, Kennedy Center Chamber Players, Seattle Symphony, Minnesota Orchestra, Florida Philharmonic, National Arts Center Orchestra (Canada), and the Chamber Orchestra of San Remo (Italy), among others. At the invitation of Maestro Valery Gergiev and the Mariinsky Theater in St. Petersburg, (Russia,) Revzen conducted performances of Berlioz’ La Damnation du Faust, Romeo et Juliette, Mozart’s Le Nozze di Figaro, Rossini’s Il Barbieri di Siviglia, and most recently, a program of the music of Leonard Bernstein for the prestigious White Nights Festival. 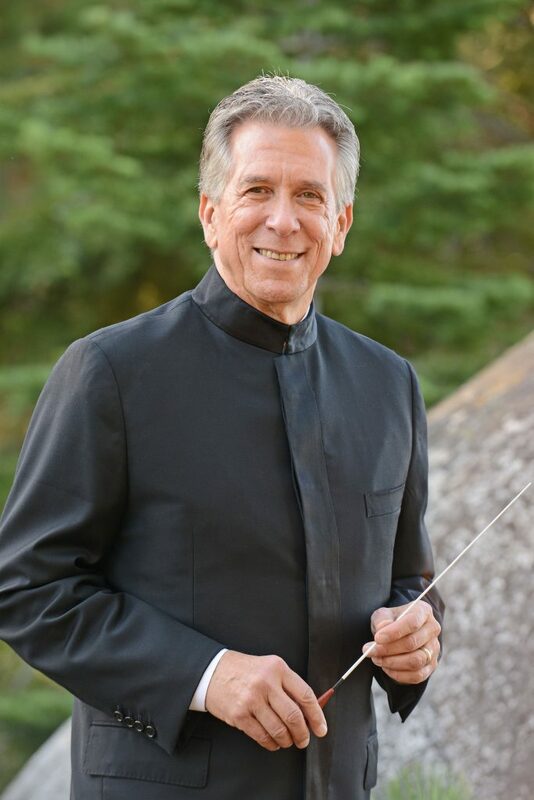 Maestro Revzen joined the Arizona Opera in 2003 as Artistic Director/Principal Conductor, and in his decade-long tenure he led 31 opera productions with over 150 performances of a vast variety of operatic repertoire and was appointed Conductor Laureate. During 14 years as Artistic Director/Conductor of the Berkshire Opera, highlights included commissioning and leading the world premiere of Steve Paulus’ opera Summer, serving as conductor for the critically acclaimed recording of Menotti’s The Consul, and leading concert performances of Carmen with Denyce Graves at Ozawa Hall, Tanglewood. Revzen was invited by Pinchas Zukerman to serve as Assistant Conductor of the Saint Paul Chamber Orchestra, a post he held for five years. Revzen served on the faculty of the Aspen Festival for nine seasons.. He received both Bachelor and Master’s Degrees from the Juilliard School.